Don't you hate it when a movie you had such high hopes for, a movie that seemed you'd been waiting your whole life for, is actually horrible? Talk about anticlimactic. That's how I feel about DOPE, that movie that was supposed to be the seminal black geek film of our time, which turned out to be just another okey doke film that barely even tried. Perhaps even worse, it ended up being a victim of its own stereotype. 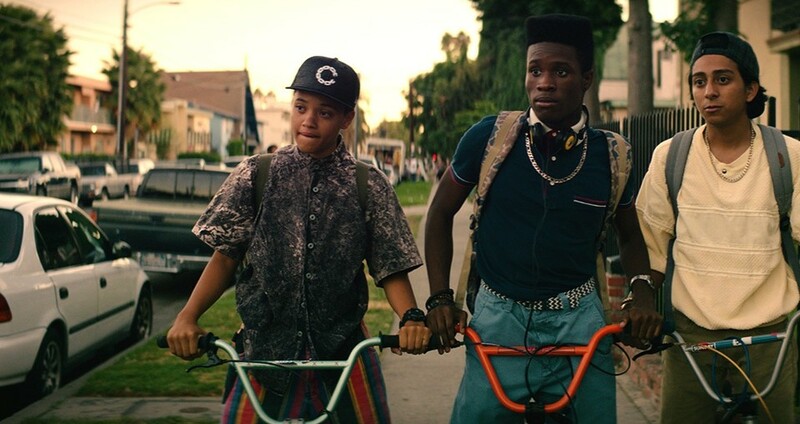 So, it's worth noting now that DOPE is neither a good coming-of-age film nor a good black geek film. Rather, it's more like a fun teen flick that's not nearly quirky as it presents itself to be. It begins as a trio of friends in Inglewood, California who form a punk band as an outlet to express their true selves in a society in which they they don't fit and are often misunderstood. The name of their band is aptly called Awreeoh (pronounced “oreo,” a cheeky nod to what black kids called other black kids who they felt were black out on the outside and white on the inside). And that's about where it ends as far as the film making a statement, though that in and of itself is subtle. The film then spirals into being about a group of friends who stumble onto a bag of weed and spend the rest of the film trying to return it to its rightful owner while getting caught in the middle of amateur drug dealer shenanigans. Seriously, that is the entire premise. Lead character Malcolm (Shameik Moore) gets tossed from one compromising situation to another--like running around with a random naked girl and trying to do business with a pothead hacker. And every so often writer/director Rick Famuyiwa would remind us that Malcolm is just a teenager trying to get into Harvard and get a date to the prom. Guys, this is absolutely ridiculous and hugely disappointing. The film falls so hard off its course that I basically checked out after about 40 minutes. Why invest in a movie that gave up on its own intention midway through? It just became so damn reductive. It attempted to make a statement, then swerved to the point of no return into becoming (bad) movie black movie about young people and drugs. Then at the end of the film it tries to recover by basically completely the theme it presented in the first 10 minutes of the film, but by then it was too far of a disconnect to truly pull off. So, DOPE isn't the film I wanted. Not even the characters are fully developed. And I am actually fascinated by the amount of reviews I've read that praised it for supposedly bringing to the forefront a story that was 1) indicative of a John Hughes film and 2) showed a far too rare view of quirky black teens. It did neither. 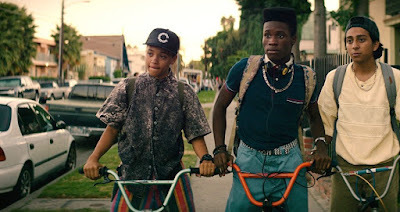 I'm still waiting for my black teen geek film and/or the black version of a John Hughes coming-of-age film. Because this isn't it. Oh my goodness, thank you for saying this! I left the theater disappointed with this one as well. My immediate reactions were this film isn't what I thought it would be (in a very lackluster way), it fell into very easy traps that hurt its opportunities for being something truly unique, the music was not as good as everyone wanted it to be, and everything else you mention so eloquently. I'm sorry this didn't work for you! I think I gave it a B or a B-, but I'm struggling to remember much of it now. It doesn't stay with you. I'm glad I'm not the only one who felt disappointed with this film...I had such high expectations that were deflated. Everything you said stands true. Even the plot gave me flashbacks of The Girl Next Door...definitely lacked edge and originality and any form of depth.